Massachusetts Sen. Elizabeth Warren was in New Hampshire over the weekend. It was her first visit since declaring her intent to run for president. As Josh Rogers reports, Warren called for systemic change in America during an appearance at Manchester Community College. Massachusetts Sen. Elizabeth Warren told more than 400 people who gathered at Manchester Community College on Saturday that her life experience informs policy goals like lifting the minimum wage, making education more affordable, and increasing inheritance taxes to pay for affordable housing. 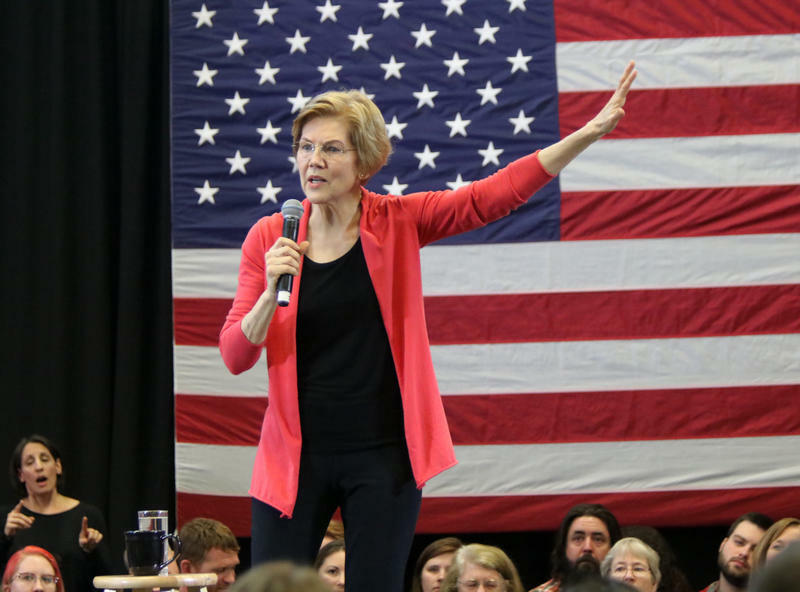 Warren argued that the country needs leadership committed to ensuring that what she called "the rules," aren’t tilted to benefit the wealthy and well-connected. Warren told reporters that Democrats need to focus on "affirmative visions" for the country instead of President Donald Trump, who she never mentioned by name from the stage. After her stop in Manchester, Warren headed to Concord for a house party at the home of former State Senate President Sylvia Larsen. 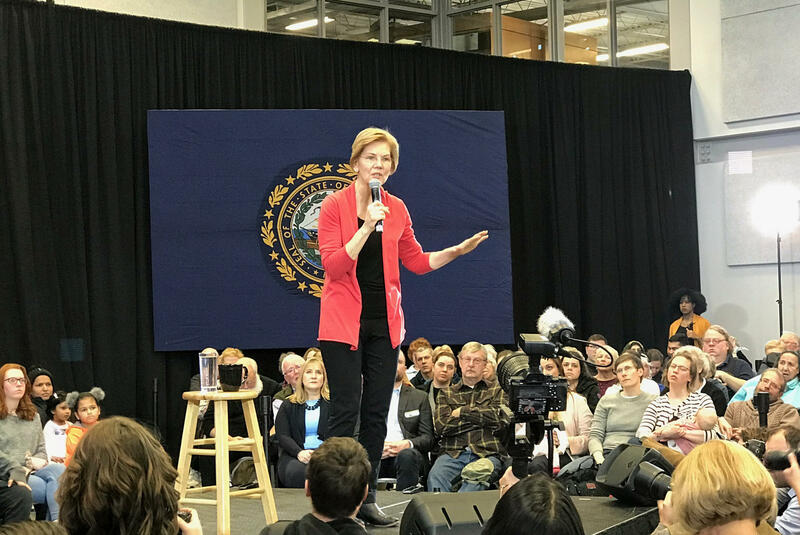 U.S. Sen. Elizabeth Warren, D-Mass., spoke at Manchester Community College during her first presidential campaign swings in the first-in-the-nation primary state.